FFA - Bail denied for San Bernardino weapons purchaser. Judge says he "remains a danger" to the community. Enrique Marquez Bail denied for San Bernardino weapons purchaser. Judge says he "remains a danger" to the community. 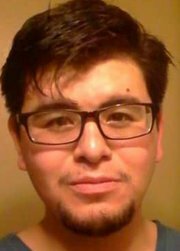 Several news agencies report: Saying that he remains a "danger" to the community, a federal judge ordered that Enrique Marquez, former neighbor of one of the San Bernardino shooters, be held without bail today. Enrique Marquez was charged with conspiracy support of terrorists on December 17, 2015. Florida Family Association sent out email alerts on December 18 and 20, 2015 (posted below) that reported Bail hearing for San Bernardino weapons purchaser is set for Monday, December 21, 2015. The email alerts encouraged subscribers to send emails urging the magistrate judge to "put public safety first and show zero tolerance for any involvement in terrorism by denying bail for Enrique Marquez." The email subscribers sent to the court also stated in part: "Most law enforcement professionals would conclude that the combination of Marquez’s violent fanaticism and suicidal tendencies pose a serious public safety risk." Thousands of people sent emails urging the court to deny bail. One would think that no federal judge would grant bail to a person who enabled the worst Islamist terrorist attack on United States soil since September 11, 2001. However, judges have released on bond people accused of supporting terrorism. U.S. District Magistrate Judge James Knepp’s release of Sultane Roome Salim this month is one example. U.S. District Magistrate Judge David Bristow set a preliminary hearing for Jan. 4 and a post-indictment arraignment for Jan. 6. Florida Family Association will closely watch this case. Bail hearing for San Bernardino massacre weapons purchaser is set for Monday, December 21, 2015. He is accused of helping plot attacks against Riverside City College and the 91 freeway in 2011 and 2012, lying about the purchase of the rifles used in the mass shooting, and participating in a "sham marriage." Enrique Marquez, the former neighbor and close friend of San Bernardino shooter Syed Rizwan Farook, has been charged with conspiring in 2011 and 2012 to provide support to terrorists. Court documents say he and Farook plotted attacks on Riverside City College and the 91 freeway in which they planned to first attack with pipe bombs, then use guns to kill fleeing victims and first responders. He was arrested and charged Thursday, Dec. 17, two weeks after he made a suicidal 911 call in which he said his neighbor used his guns to carry out the San Bernardino attack. Farook and his wife, Tashfeen Malik, killed 14 people and wounded 22 others, then died in a shootout with police several hours later. Federal prosecutors said there was no evidence that Marquez participated in or had advance knowledge of that attack. Marquez made his initial appearance in federal court in Riverside on Thursday afternoon. During the six-minute appearance, he did not enter a plea but was appointed a lawyer. U.S. Magistrate Judge Sheri Pym scheduled his bail and detention hearing for Monday. The charges against Marquez include conspiring with Farook to provide material support – including himself, a firearm and explosives – to terrorists. "Marquez was also charged today with the unlawful purchase of two assault rifles used in the deadly shooting two weeks ago," the U.S Attorney's Office said in a statement. He was accused of being a "straw purchaser" who was paid by Farook to buy the weapons but claimed on federal forms to have bought them for himself. A few years ago, Marquez began attending prayers at the Islamic Society of Corona-Norco, where attendees viewed him as a “decent guy.” He and Farook would discuss the Tablighi Jamaat, a proselytizing movement that rejects violence. But his conversations with Farook evolved into exploring extremist ideologies. Farook began providing Marquez with radical Islamic materials, such as Inspire, a magazine published by Al-Qaeda in the Arabian Peninsula, according to the affidavit. One would think that no federal judge would grant bail to a person who enabled the worst Islamist terrorist attack on United States soil since September 11, 2001. Most law enforcement professionals would conclude that the combination of Marquez’s violent fanaticism and suicidal tendencies pose a serious public safety risk. However, judges have released on bond people accused of supporting terrorism. U.S. District Magistrate Judge James Knepp’s release of Sultane Roome Salim this month is one example. The deaths of fourteen Americans and devastation to their families and friends caused by the weapons Marquez allegedly purchased warrants denial of bail. Americans now more than ever before need to know that the courts make their public safety a top priority. Releasing Marquez on bail would only increase public fear and decrease their confidence in the judicial system. Americans need to see the United States Courts give zero tolerance to people accused of terrorism. Florida Family Association has prepared an email for you to send to urge United States Magistrate Judge Sheri Pym to put public safety first and show zero tolerance for any involvement in terrorism by denying bail for Enrique Marquez. The email for this article was deactivated after the judge denied bail.